Today I had to have a root through my drawers for something to share for Sunday stationery. In my rooting I came across these little beauties; two address books, both of which I love but have never used. Now comes the real dilemma: which address book to use! I love them both, obviously because I bought them both, but I’m not sure which is more me! The fairy appeals to my woo-woo side, while the stylish ladies appeals to my fashion loving, modern side. Of course, once I do decide which to use, I have to figure out what to do with the other one! I will no doubt keep it for several more years until I need a new address book, by which time I will have no doubt forgotten about it! Do you find yourself hoarding cute address books and things? Or do you only buy things to use them? Both are very pretty, I don’t know how you’ll decide! 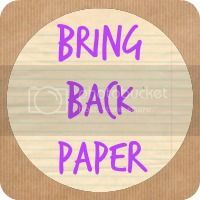 I don’t hoard address books, as I just buy those when I need them, but washi tapes, notebooks, notecards and writing sets – yes, I have a lot!!! I *think* I prefer the fashion one. I think I’d go for the one with the two girls on. I’m a hoarder of things too pretty to use. I Jan I decided I want buying any more note books. I last 3 weeks. I bough another one today!